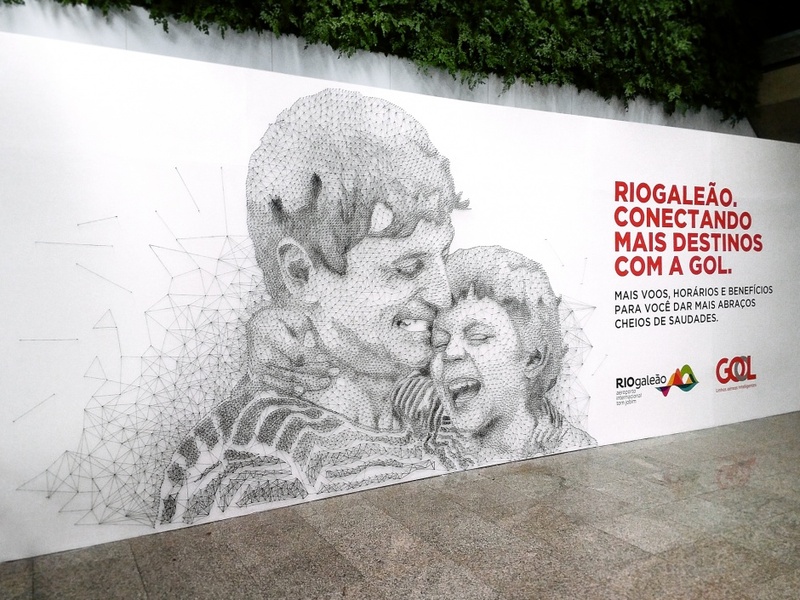 Installation designed by artist Bernardo Abreu and produced by Norte in the Tom Jobim International Airport, Rio de Janeiro, as part of Gol and RIOgaleão's "Connecting More Destinations" joint campaign. 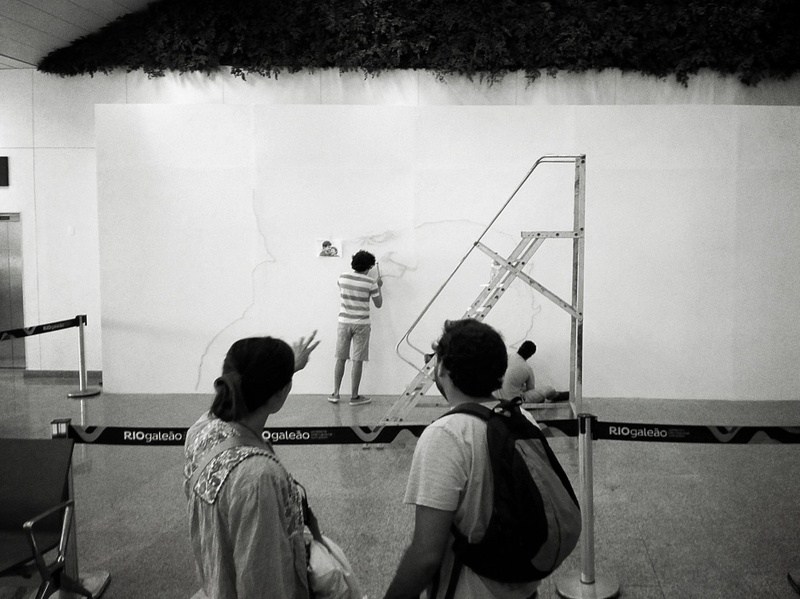 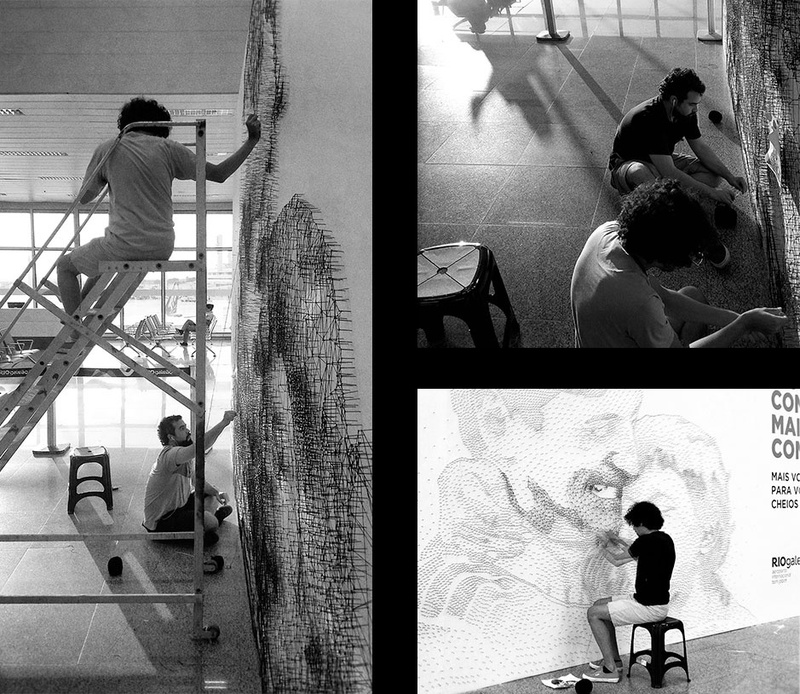 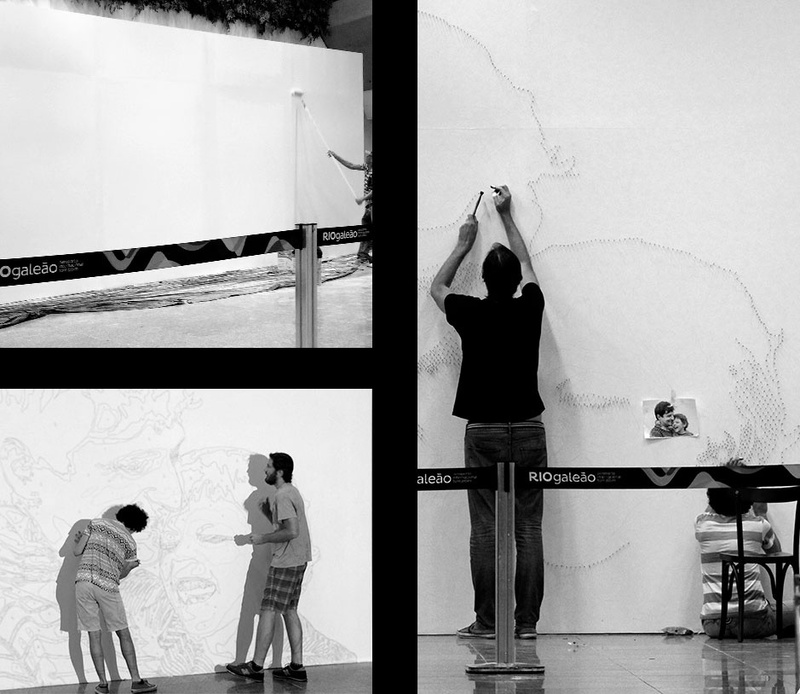 Artist Bernardo Abreu was invited to develop a large format art installation in the departure area of the Tom Jobim International Airport, Rio de Janeiro, as part of the "Connecting More Destinations" campaign, a joint effort that celebrates the partnership between brazilian airline Gol and RIOgaleão, the concessinary that operates the airport. 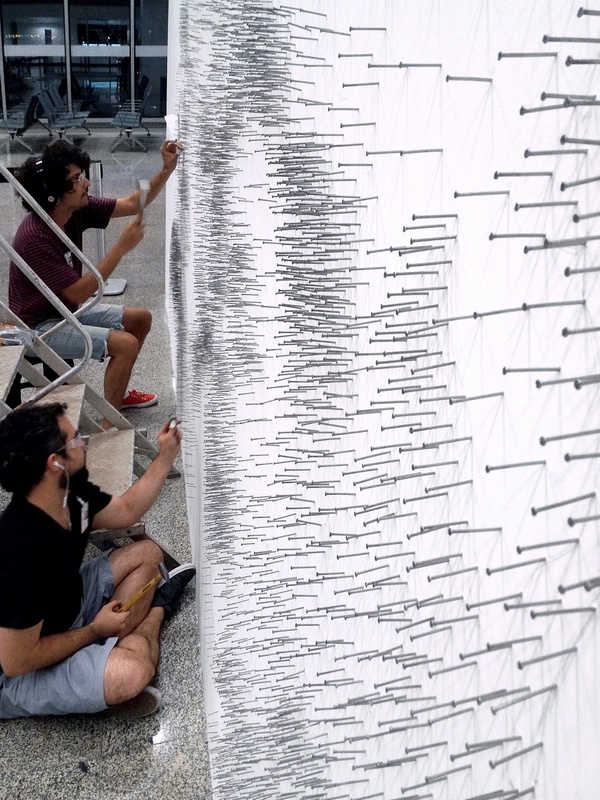 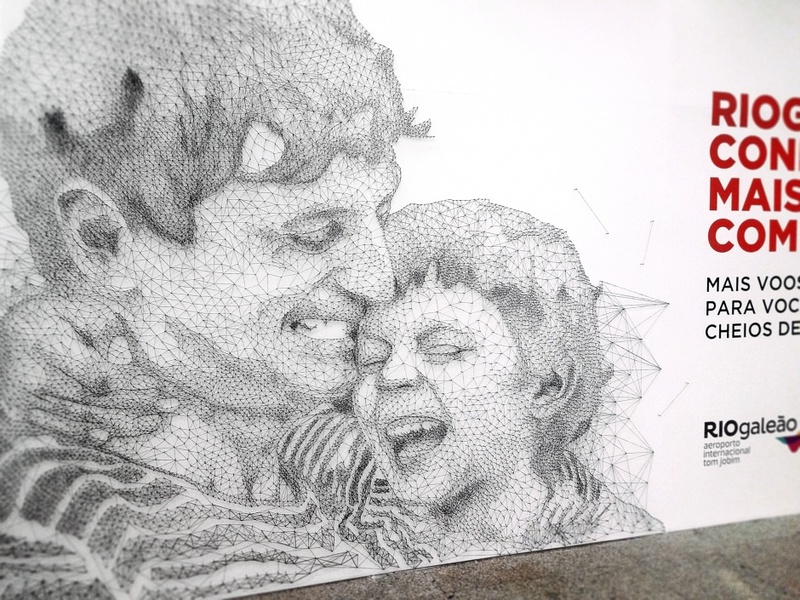 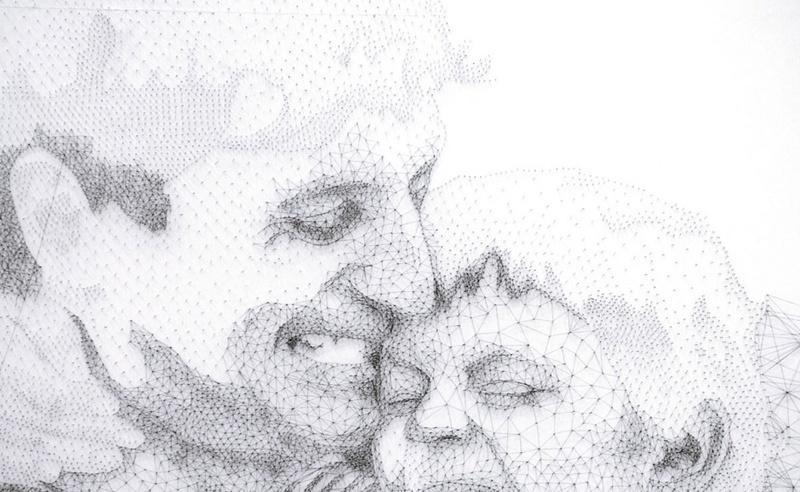 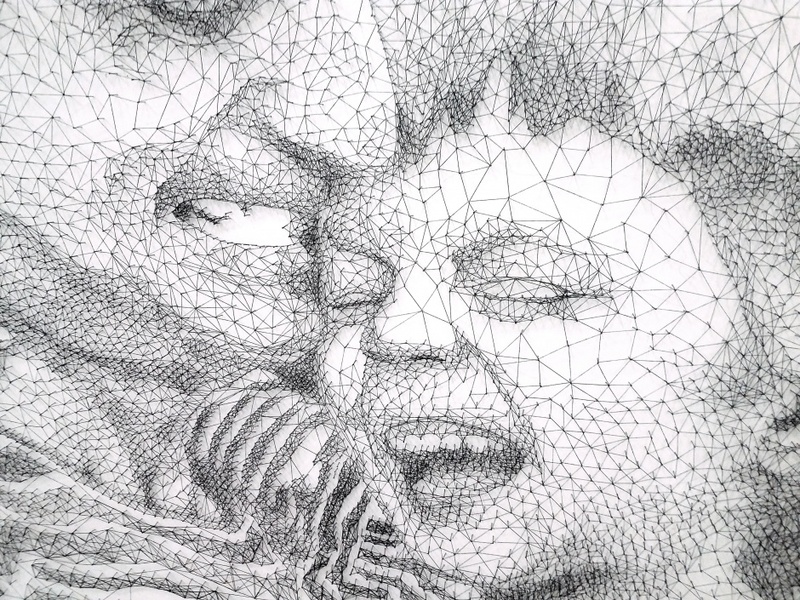 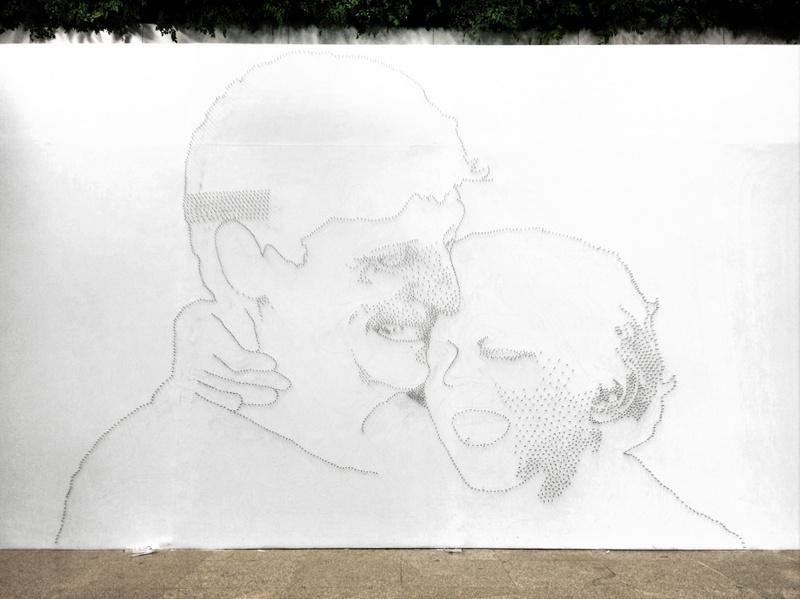 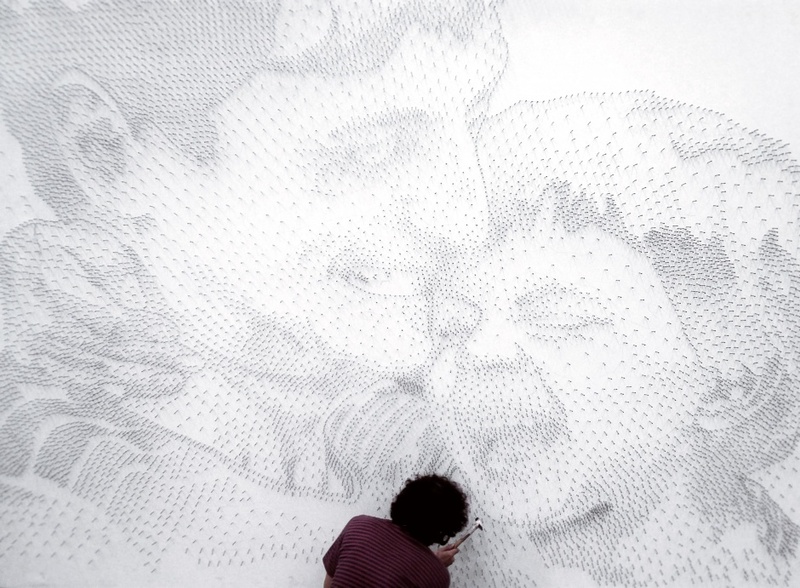 On a panel measuring 9x3 meters, the production of which was integrally managed by Norte, the artist executed a piece formed by an extension of more than 1000 meters of cotton string intertwined in a bed of approximately 15.000 nails.